Hosanna to the Son of David: blessed is He that cometh in the name of the Lord. King of Israel: Hosanna in the highest. “The Center Against Racism has set itself a goal to monitor all racial incidents against Arab citizens, and to fight racism as much as possible under the law through public action,” the center’s annual report said. Bachar Ouda, the center’s director, said the survey’s findings were worrisome, and urged the government to intervene in the situation. “We call on the education minister to take the gloves off and deal with the issue seriously, because it is dangerous to coexistence. We call on the state prosecutions office, and the attorney general to take action,” Ouda said. EDITOR’S NOTE: This is one of the Vatican’s eight Talmudic/Kabbalistic knights. More on the other seven HERE, and HERE. 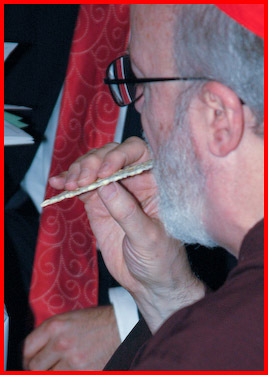 This one is not only a rabbi, but also a member of the Anti-Defamation League of the Judaic, Freemasonic B’nai B’rith. Who needs enemies when you have rabbinic-masonic knights on your side? 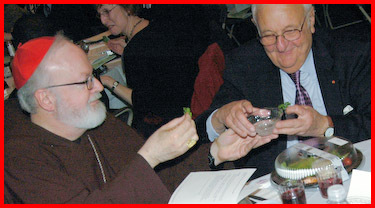 New York, New York, March 26, 2007…Rabbi Leon Klenicki, Director Emeritus of Interfaith Affairs of the Anti-Defamation League (ADL), has been named a Papal Knight of the Order of St. Gregory the Great by Pope Benedict XVI, for his historic contributions in improving the relationship between Catholics and Jews. The Papal Order of Saint Gregory is the highest honor the Catholic Church confers on a layperson, in recognition of “Outstanding Services Rendered to the Welfare of Society and the Church”. This Pontifical Honor of Knighthood is conferred by the Holy Father on his own initiative and at the recommendation of diocesan bishops who present worthy candidates to the Holy Father. 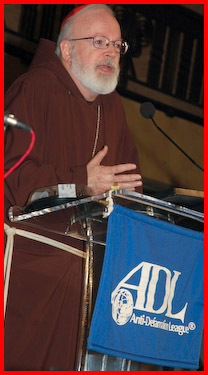 Rabbi Klenicki becomes the second ADL interfaith official to receive papal knighthood. In 1986, the late Dr. Joseph L. Lichten became the first American Jew to receive the honor when Pope John Paul II named him a knight commander of the Order of St. Gregory the Great. Rabbi Klenicki, a renowned scholar and theologian, now joins a select group of living Jews, and only a handful of rabbis, who have been so honored by the Vatican. A native of Argentina, Klenicki received his rabbinical degree from Hebrew Union College – Jewish Institute of Religion in Cincinnati in 1967 and returned to Buenos Aires as Director of the Latin American Office of the World Union for Progressive Judaism. In that position he helped develop Reform Judaism in Latin America. Since his days as a student growing up in Argentina, Rabbi Klenicki has been interested in inter-religious dialogue. In 1968, he delivered the major paper representing the Jewish community at the first Latin American meeting of Jews and Catholics in Bogota, Colombia. This historic meeting, organized by ADL and CELAM (Latin American Episcopal Conference), occurred during the visit of Pope Paul VI to Colombia. It was the first time that Jews and Catholics met in Latin America on a continental basis, and it paved the way for future dialogues and inter-religious work. Rabbi Klenicki was authorized by CELAM and the Argentine Council of Jews and Christians to undertake a study of catechisms and Catholic religious texts, the first of its kind to be done in South America. His final recommendations were presented to the Bishops Conference in Argentina for a revision of how Jews and Judaism were portrayed in Catholic texts. He traveled to Rome on behalf of the Council of Jews and Christians for study sessions at the Vatican. He also served as an advisor on interfaith affairs for the DAIA, the main Jewish organization in Argentina. He served as spiritual leader of Congregation Emanu-El in Buenos Aires. In 1973 he moved to New York to become head of ADL’s Jewish-Catholic Relations Department and in was named ADL Director of Interfaith Affairs Co-Liaison to the Vatican in 1984, positions he held until his retirement in 2001. 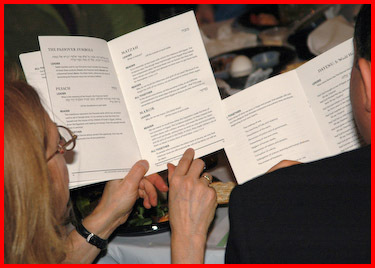 The United States Conference of Catholic Bishops recommended to all US bishops and cardinals to observe Holocaust Day by using as a liturgy the service prepared by Rabbi Klenicki and Dr. Eugene J. Fisher, Associate Director, Secretariat for Ecumenical and Inter-religious Affairs, USCCB. A lecturer at Catholic and Jewish universities and seminaries, Rabbi Klenicki was the first Hugo Gryn Fellow at the Centre for the Study of Jewish Christian Relations at Cambridge University, England; one of the first two Scholars-at-Large for the Graymoor Ecumenical & Interreligious Institute in New York; and a visiting professor at Leuven Catholic University in Belgium. 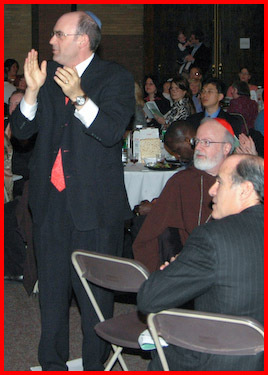 A prolific writer and editor on inter-religious issues for American and international publications, Rabbi Klenicki is the recipient of many awards and honors. "Lost Tomb of Jesus" Director, Simcha Jacobovici: Power-"Jew"
EDITOR’S NOTE: The US media has promoted James Cameron as the spokesman for the “The Lost Tomb of Jesus,” but the Judaic press is not so coy. There we find the real force behind the mockery and his impressive power-Zionist, Orthodox Judaic credentials. … Jacobovici … 54-year-old … Israeli. Bill Donahue of “The Catholic League” tells us that none of this is significant–Jacobovici’s rabid adherence to the 2000 year-old Judaic tradition of slander against Jesus Christ has no bearing upon his decision to make a “documentary” which slanders Jesus Christ. Whose interests does Bill Donahue represent? You are currently browsing the Maurice Pinay blog archives for March, 2007.